The market prognosticators are out in force, peering into the same crystal ball it appears, since the Street sees roughly 8% growth in equities for 2016. Now where they see that growth is no mystery. The Facebook, Amazon, Netflix and Google (Alphabet) trade is still their top pick, lacking any kind of imagination. But knowing this “hedge fund hotel” where all the fund managers are staying is good for a couple of percentage points gain on your portfolio. 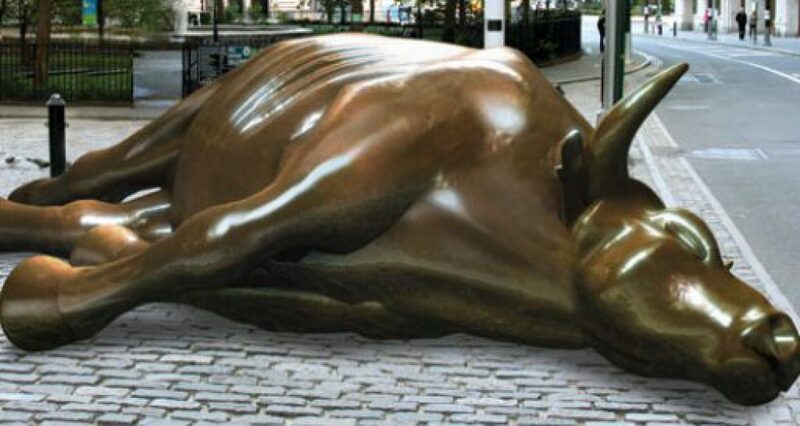 I am extremely bullish for 2016. I don’t see stocks being higher at the end, but I do see a very choppy trading year with 20 percent swings in all three equity indices. A quick look at trading for the year. Jan-March: Stocks rise 10 percent on new money entering the market and stay at elevated levels as the Fed stands pat on Fed Funds rate and Europe injects more easing. Strong dollar tempers the enthusiasm in stocks, But recessionary forces keep the Fed uneasy about acting on euphoria. April-June: Markets are riding high with 18%-22% gains booked YTD. Fed jawboning for rate rise, rest of the globe is feeling pain of strong dollar with multinationals giving weaker guidance warnings of strong headwinds. End of June- early July: With gasoline at $1.55 a gallon for peak driving season, Saudi Arabia cuts the riyal’s historic peg to the dollar. Like the Chinese devaluation in Aug of this year, Equity markets plunge 40% on the news. August: The Fed cuts Fed Funds Rate back to zero and initiates new round of easing as markets are now down 50% for the year. September – December: Saudi government falls as fighting with Yemen (with Russian aid) escalates into a full-blown war over $25 a barrel oil. Janet Yellen attempts to stabilize US banks, which are cratering over currency fallout. Markets bounce back at years’ end to close out 2016 down 45%. Not pretty by any stretch of the word, but I do believe the defining event will be Saudi Arabia in 2016. The message would be to get to the party early in ’16 and know where your coat is and have your keys in your hand, because you may have to leave the party early and quickly. This entry was posted in economy, monetary, recession, Stocks soar, Uncategorized, Wall Street and tagged 2016, 2016 economic preview, 2016 stock market preview, Janet Yellen, riyal dollar peg, Saudi Arabia, Stocks slide in 2016 by Michael Gray. Bookmark the permalink.